Before we go on through some (actual) figure pictures, let´s focus on this image. The light, the detail, everything the movie screenshots brought to the Star Wars huge fan base. 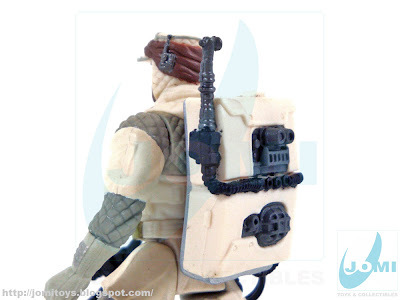 Figure with included backpack and blaster rifle. Not bad. 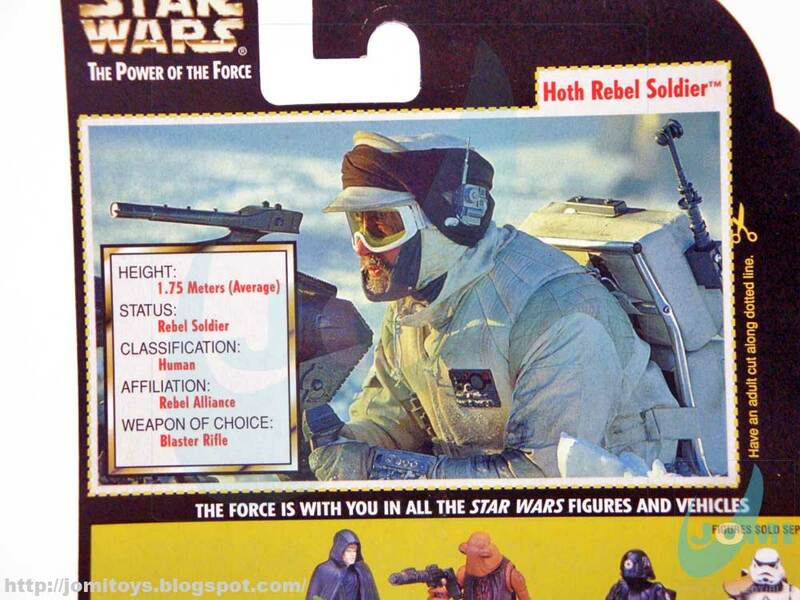 The common Hoth Rebel soldier had beard (to better face the cold weather) and all its extreme cold weather clothing sculpt. Large soldiers just like many of post-1995 POTF2 figures. 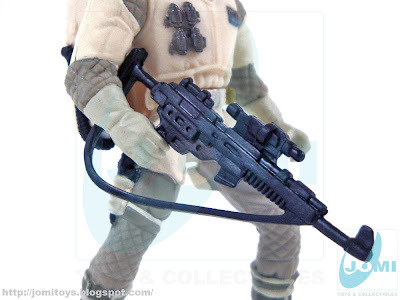 Now the blaster rifle is pretty cool. 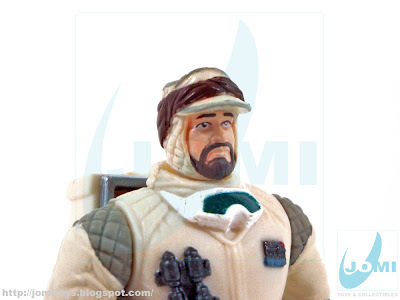 Too bad it´s made of soft PVC. But looks good. Backpack. Removable, of course. Enough detail and fits good enough. 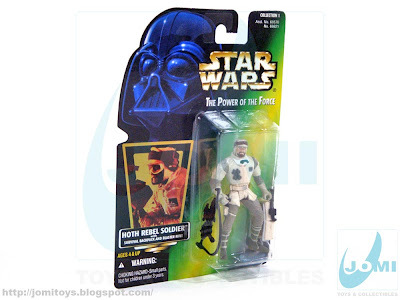 For a figure from 1997, which already has seen a Legacy Collection "redo", it does its job next to its POTF2 collection counterparts. 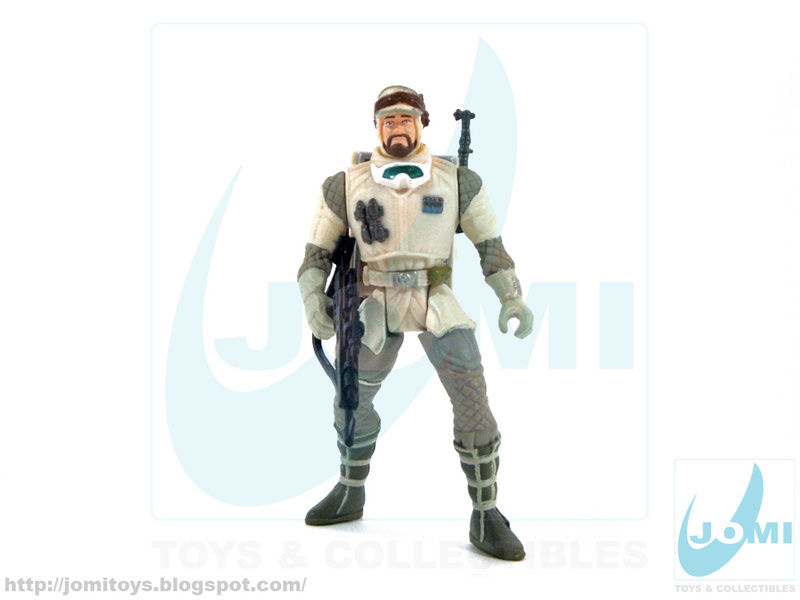 A must for a Star Wars fan. Probability says Empire Strikes Back is its favourite movie of all done. Wanted Action Force/ G.I.Joe commercial! Diorama - Battle for Hoth - Abandon Base!